Scrappy Placemats includes FOUR placemat patterns 13 inches x 19 inches. Great illustrations and easy to make. 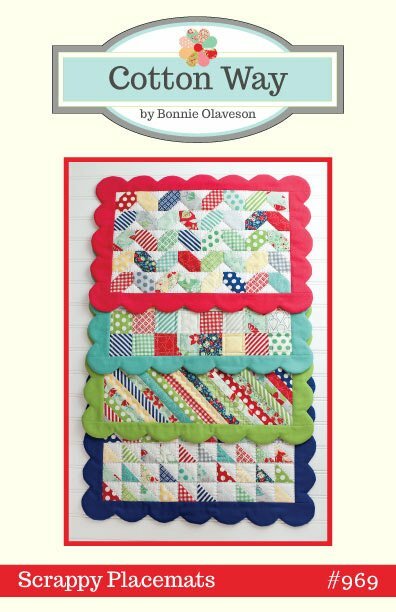 A great pattern for using your scraps. Placemats are a wonderful gift idea.